Join us for a week of camp like no other! Explore the great outdoors with our expert counsellors in beautiful locations along the Niagara Escarpment. Where else can you try caving and get nose to beak with some amazing birds of prey? Camps include: adventure & explorer, mountain bike, waterfront & lifeguard, raptor, farm, construction, climbers, C.I.T. and more! Ways of the Woods (WOW) brings some of the most outstanding summer camp offerings this region has to offer. 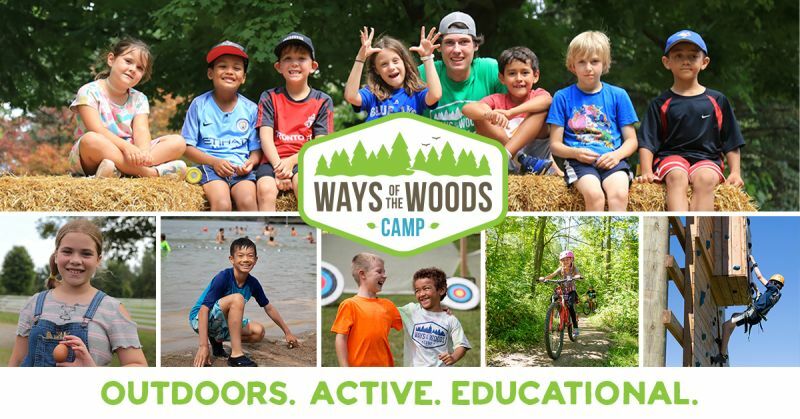 Operating within Conservation Halton’s beautiful parks, Ways of the Woods lets your camper celebrate what it means to be a kid! Our camps are outdoor, active, and educational. Campers explore, discover, learn, and play in the great outdoors. 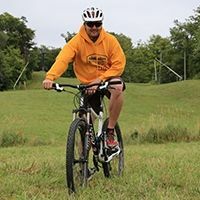 Opportunities abound for campers to meet friends, get dirty, hold a bird of prey, ride fantastic bike trails, learn about aquatic creatures, and more. Ways of the Woods offers what parents look for in a camp, and all the fun stuff that campers love. Our experienced counsellors know how to relate to campers, and how to provide the supervision that parents expect. Our promise to you is a safe, fun, educational, and unique camp experience that will have your camper excited to be a kid! The WOW Camp is a great camp! This was our son’s third year and he had a wonderful time yet again! The counsellors are great, the locations are amazing and the games played even better! Great memories for the kids. My kids have been to a variety of camps, but this was their first year for WOW Camp. Our boys are 7 and almost 9 and this was by far the best camp experience they’ve had. My older son is singing camp songs in the shower that he learned through the week and can’t stop talking about the sleepover last night. Our younger son was beaming when he brought home his tie dye shirt yesterday. Our hope is to send them to residential camp in the future and this experience has given them a great start. Please thank your staff for a wonderful week. The camp experience provides an opportunity for kids to shine. I'll never forget when a young boy in my group rose to become a motivating leader while learning canoeing techniques. He began as the one in the group that made trouble, but from the moment we went out on the lake, his leasdership skill were all I noticed. I always loved seeing the smiles on the campers' faces as they emerged from the cave at Mount Nemo. The pride and excitement of conquering such an obstacle, made caving a favourite activity with the kids. Catching frogs, dragonflies, and crayfish are not only fun activities for the campers, but they also instill a respect and admiration for the natural environment that cannot be matched. Every day at Ways of the Woods is a new adventure. Boating, hiking, caving, archery and pond studies are just a few of the activities that campers (and staff) get to experience. You never know what you might learn while exploring and having fun at camp. Kelso's stream studies always presented new and interesting creatures to be discovered. One day in particular the kids found an insect that looked prehistoric! On hikes we've been lucky enough to spot garter snakes and porcupines. Interested in Ways of the Woods Day Camp?